"ESA’s Mars Express has spotted a rare case of a crater once filled by a lake, revealed by the presence of a delta. 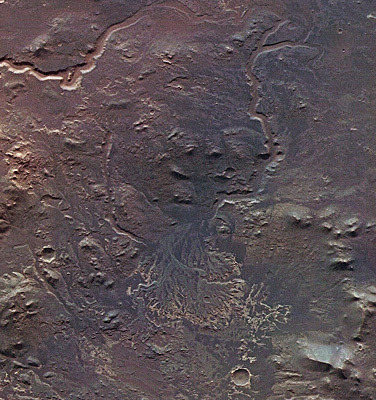 The delta is an ancient fan-shaped deposit of dark sediments, laid down in water. It is a reminder of Mars’ past, wetter climate."